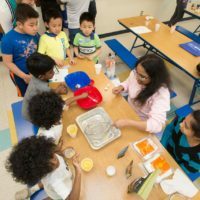 Thousands of science, technology, engineering and math enthusiasts transformed a Northern Virginia school into a cutting-edge science laboratory earlier this month, complete with slime-making stations, robot competitions and a hands-on demonstration from a former astronaut, who used gummy worms to showcase the science of gravity. It was all in hopes of spurring the interest of today’s young, bright minds to become the next generation’s STEM leaders. 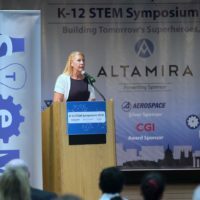 Held April 14 at the Nysmith School for the Gifted in Herndon, Virginia, WashingtonExec’s annual K-12 STEM Symposium was the largest yet, featuring speeches and presentations by local STEM educators and leaders. 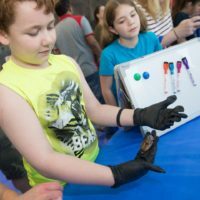 Under the theme “Super STEM: Building Tomorrow’s Superheroes, Today,” the event drew almost 3,000 students, parents, educators, industry and government leaders, and nonprofit executives. 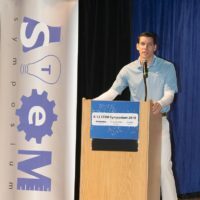 Now in its fifth year, the STEM Symposium aims to better connect what’s learned in the classroom with today’s science and technology capabilities. 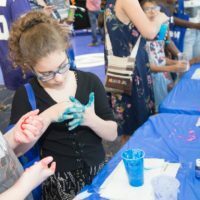 Presented by Altamira Technologies, the event showcased popular exhibits such as Vencore’s flight simulator and stations where visitors could create their own oobleck — better known as slime for the uninitiated. Keynote speakers included Dr. Ann Bonitatibus, principal of Thomas Jefferson High School for Science and Technology, and Dr. Tinell Priddy, principal of the new Academies of Loudoun. Priddy was on site with her FIRST Robotics Competition Team, RoboLoCo, whose robot will compete in this year’s FRC challenge, “Power Up!” in which robots throw power cubes onto giant scales to score points. Former NASA astronaut Catherine “Cady” Coleman talked about her two Space Shuttle missions. Selected in the early 1990s to join the NASA Astronaut Corps, Coleman spent 180 days in space. 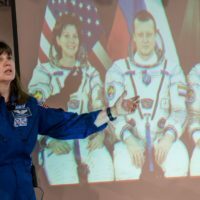 Now a retired Air Force colonel and professional speaker, Coleman dazzled an audience of children and adults alike with her stories from space, showing video of how gummy bears and drops of water — both brought to space for experimentation float in zero gravity. A special thank you to Brian Talbot and CASIS for helping arrange for Coleman to speak at the Symposium. 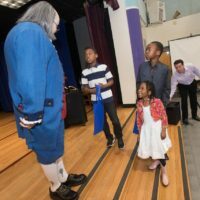 “Ben Franklin,” one of America’s most renowned inventors and a Founding Father, delighted young minds by showing his creations over the years: the lightning rod, the Franklin oven, swimming fans and bifocal glasses were just a few mentioned. He described how he and his son, William, decided in 1752 to conduct his now-famous kite experiment to test his hypothesis that there was a link between lightning and electricity. Chris Westphal, Datawalk’s chief analytics officer, brought his 12-year-old son to the STEM Symposium. 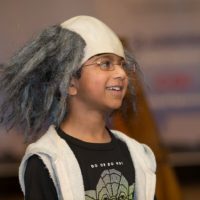 “This year was chock-full of fun, engaging and interactive events and demos,” he said, adding how his son got to try out the flight simulator, make slime and even touched the Van de Graaff generator, “which made his hair stand up straight.” Additionally, he got to control robots and make sound-frequency art. New this year were the several awards presented by WashingtonExec. The STEM Rising Star award went to Kavya Kopparapu and Kirthi Kumar, both students at Thomas Jefferson High School for Science and Technology. CGI Federal’s Anne Swanson, who serves as the company’s U.S. education and workforce development coordinator, was named Most Inspiring STEM Executive of 2018. 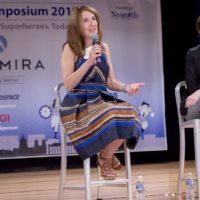 Boolean Girl, a nonprofit that educates girls to code, build, invent and animate, received the STEM Non-Profit of the Year Award, and Business Women’s Giving Circle and Northrop Grumman were named the Best STEM-Supporting Businesses of the Year.